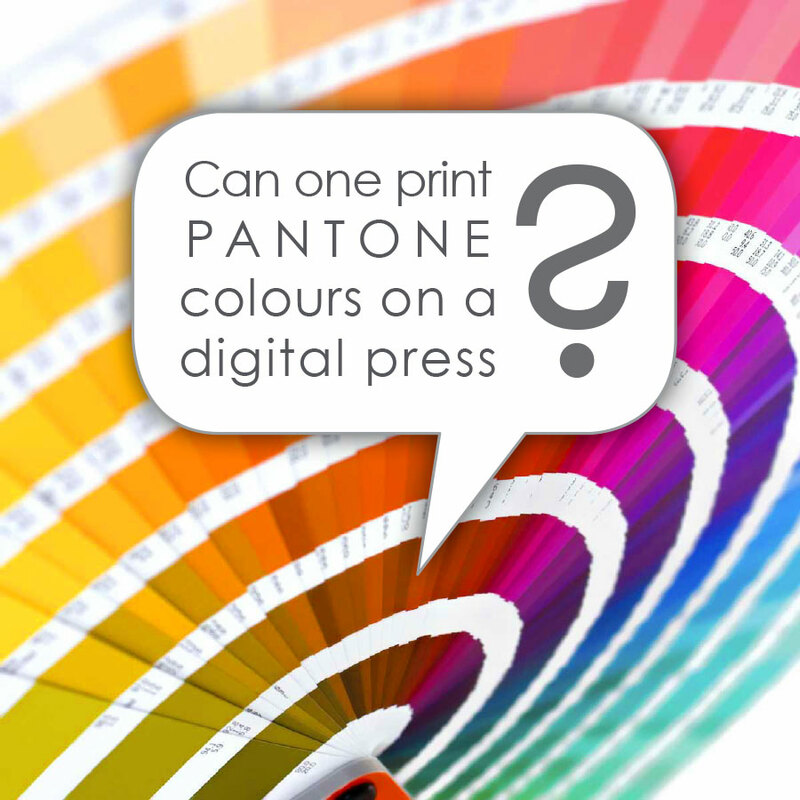 Can one print pantone colours digitally? In our previous post we described how most printed material uses combinations of CMYK (cyan, magenta, yellow and black) ink to produce colour images. “WHAT ARE PANTONE COLOURS THEN?”, you may ask? The Pantone Color Matching System is a standardized color reproduction system where each colour is specified by a single number. It includes many colours that fall outside the gamut of the CMYK spectrum – for example metallic and flourescent colours. It also represents many colours that fall within the CMYK gamut. This is why the answer can be both “YES” or “NO” as certain Pantone colours can be very accurately matched by CMYK devices, where others cannot – it all depends on which colour you choose. “SO HOW DO I KNOW IF MY COLOUR CAN BE MATCHED?” The best way to check this is to use a physical Pantone chart where their Colour Bridge will show you the CMYK equivalent of your Pantone colour. If you don’t have access to charts, a crude solution is to open your document in photoshop and check the colour gamut warning. Alternatively, you are most welcome to pop in to Hot Ink for advice or to check your colour against our charts.